A man named James Harrison from Australia managed to save 2.4 million lives. A man named James Harrison from Australia, woke up from a major operation that he lived in 1951 ago. At that time, Harrison was 14 years old and the doctor had picked up one of his lungs. During this difficult time, Harrison learned that he was alive thanks to the amount of blood transfusions he received. 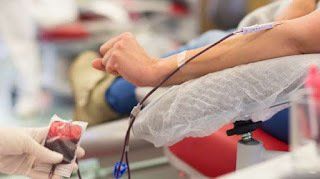 From there, Harrison intends to donate his blood regularly, even though he has to wait another 4 years for the age of 18 because the previous Australian law requires the donor to be at least 18 years old. But he has not forgotten his wishes and donated his blood regularly to the Australian Red Cross Blood Services for 60 years. When Harrison became a donor, doctors said that his blood might help solve deadly diseases. Quoted from Bored Panda, until around 1967 in Australia there are thousands of babies die each year and doctors do not know what causes it. "There are many women who have miscarriages and cases of babies born with brain damage.We now know that the cause of these terrible things is rhesus disease, a condition in which the blood of pregnant women begins to attack the baby's blood cells it contains," explained Jemma Falkenmire of the Australian Red Cross Blood Services. The doctors found that Harrison had rare antibodies in his blood and they developed an injection called anti-D. Anti-D containing Harrison's blood is what saves mothers and babies. It is estimated that he has saved some 2.4 million people. Now the man known as "The Man with the Golden Arm" has made 1,173 donations of blood plasma. 0 Response to "Great, Men's Noble Action Save 2.4 Million Lives"